I've tried many virtual sticky note apps, but I never found one as feature-rich and easy-to-use as StickyNote. 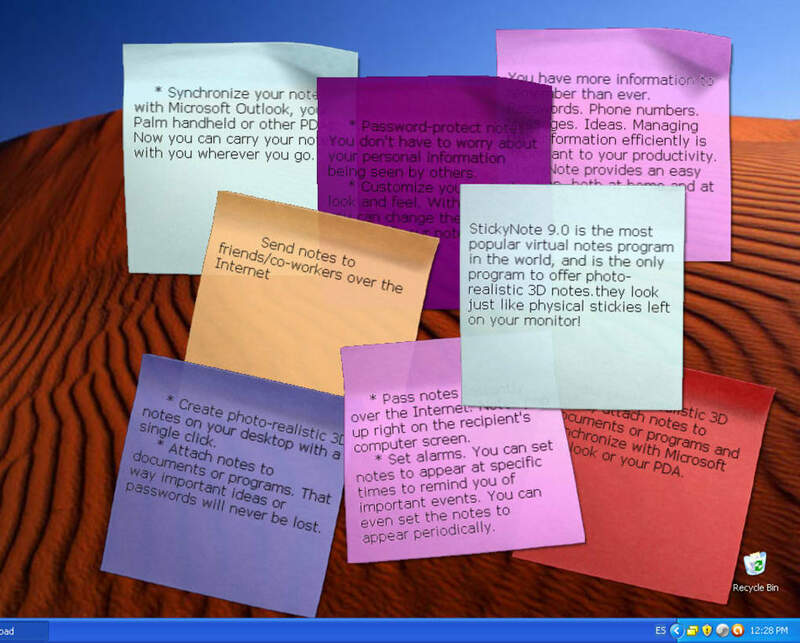 With StickyNote you can create as many virtual notes as you need and stick them to your desktop, so that you don't forget about appointments, tasks, addresses, ideas, phone numbers or any other information you need to store. 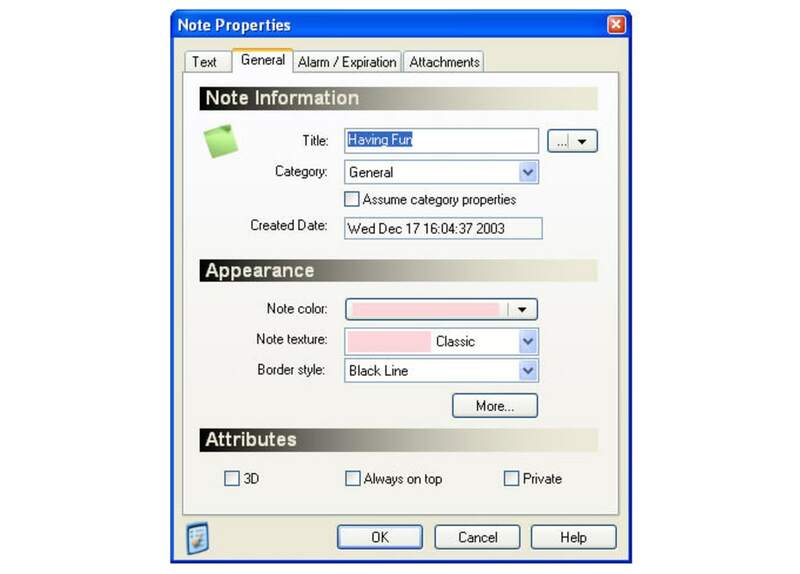 Plus all the notes you create with StickyNote can be password protected and have support for alarms, so that you can use them as reminders. Besides those features, StickyNote stands out from other similar apps for various other reasons. They're highly customizable (including a really nice 3D effect), can be attached to documents or programs, and shared with other people via email. The program also includes an extensive configuration menu to tweak all the options. 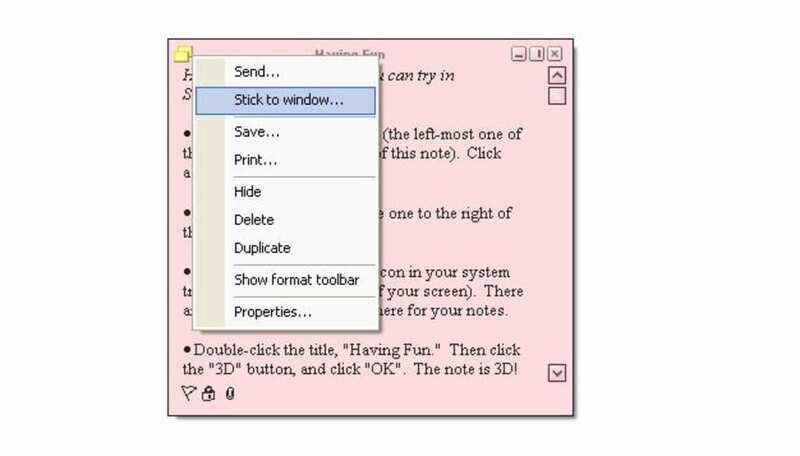 StickyNote is also very easy to use. 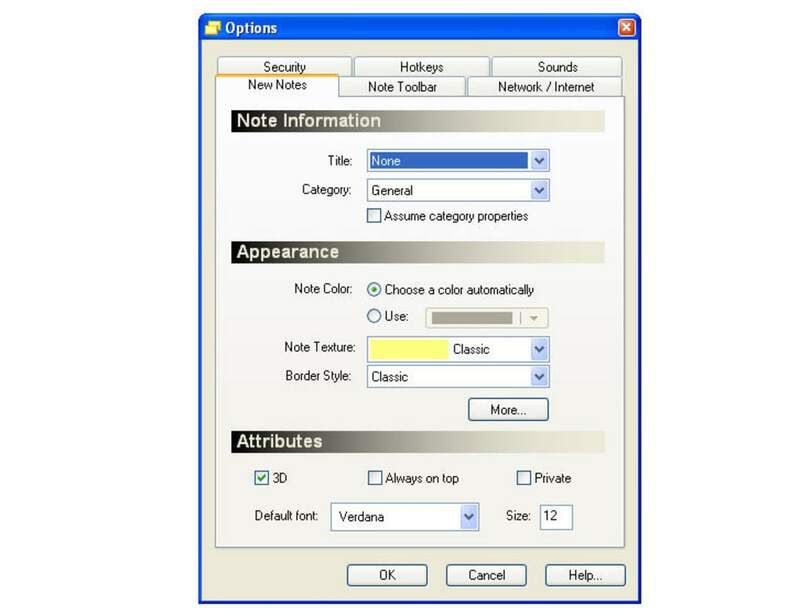 You can create a new note by double clicking the program's icon in the system tray or the icon on your desktop, as well as minimizing or hiding them with a single click. The only thing I could complain about this great little app is the note editor: it doesn't display scroll bars when you enter a long text, which makes it difficult to review. StickyNote is one of the best virtual sticky note apps I've ever tried! 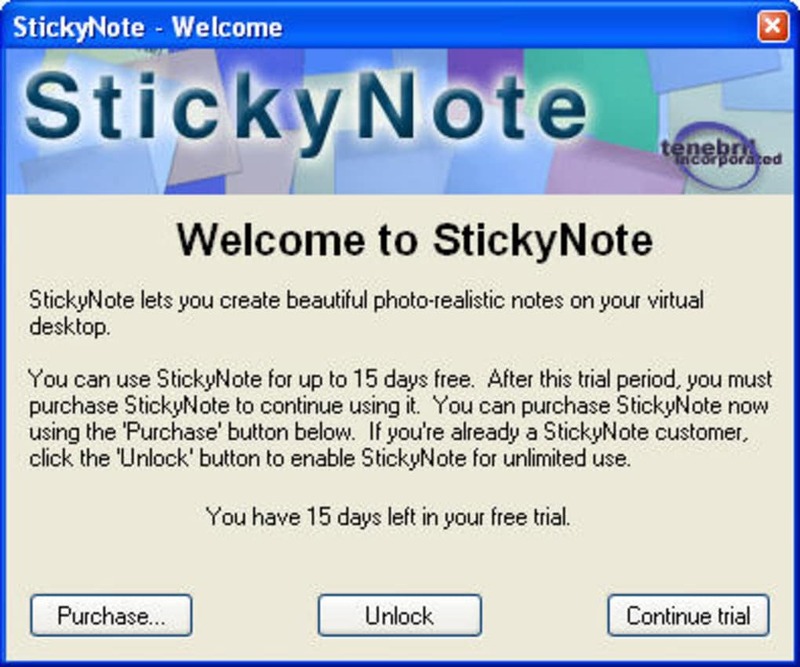 What do you think about StickyNote? Do you recommend it? Why?